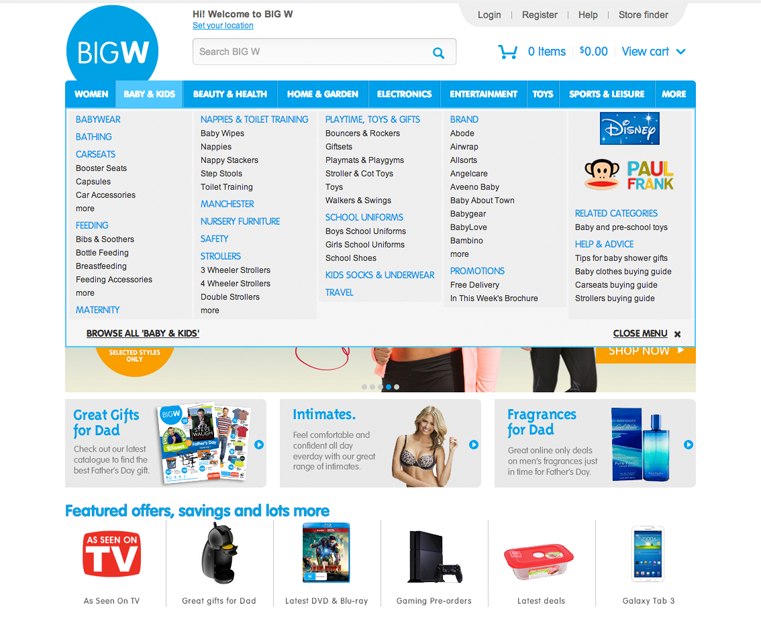 BigW is Australia’s largest big box format retailer. And part of the Woolworths family. 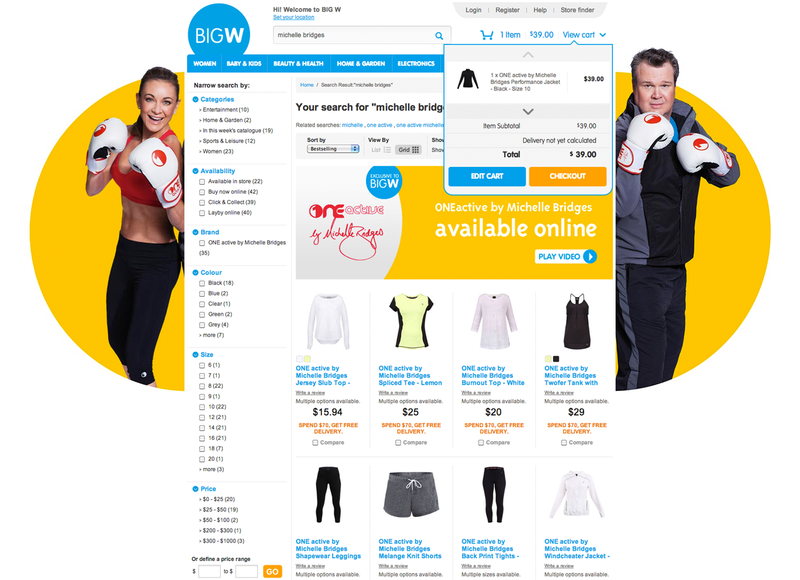 Work closely with BigW on the design and development of www.bigw.com.au, improved user experiences and the development of key functionalities including click-and-collect and online layby. 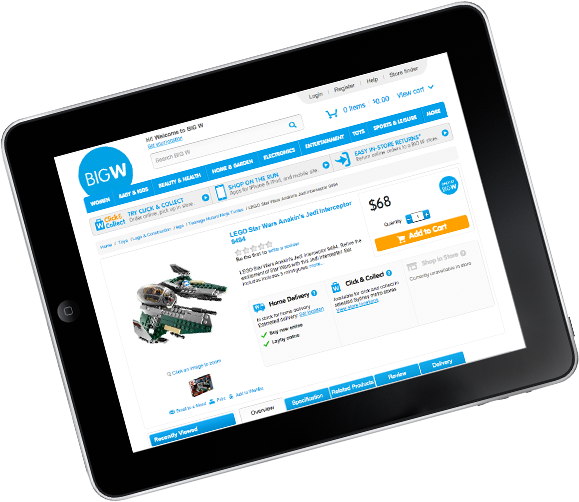 Ongoing optimisation and improvement to maintain BigW’s lead online. It is fitting that Australia’s largest big box retailer should have one of Australia’s biggest eCommerce websites. Where many traditional retailers have been late to develop effective strategies and websites, BigW is the absolute reverse of this. We've been helping BigW since 1999. 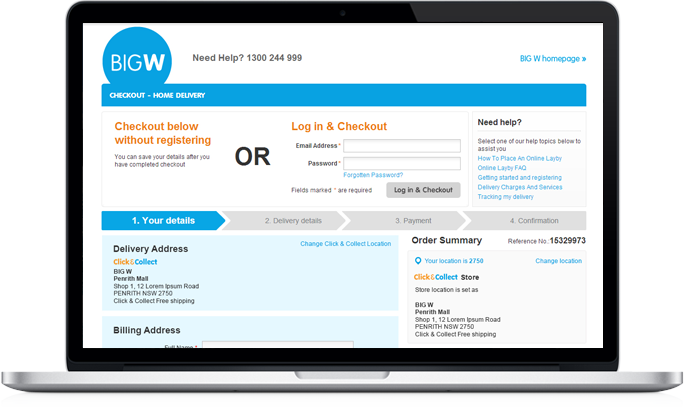 Designed by Wiliam, the BigW website is an ongoing case study in optimisation, improvement and growth. And a great case study in how to keep a website constantly fresh and contemporary. 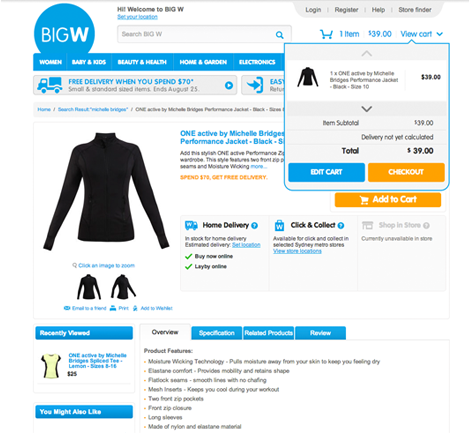 Along the way, the additional of new and key features such as click-and-collect and responsive menus has pushed BigW further and further ahead of its competition. Indeed, the launch of online layby saw the website win Online Retailers ‘Marketing Initiative of the Year’; a solution planned, tested, designed and implemented by Wiliam. 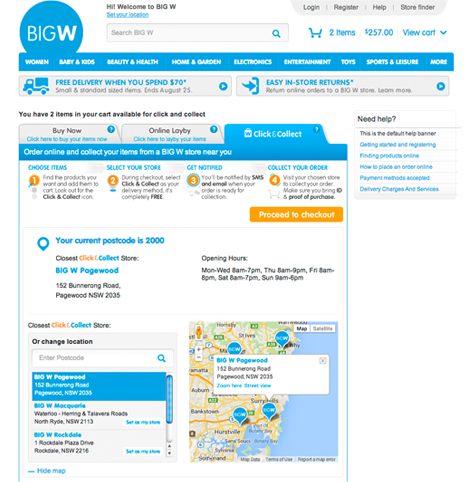 As eCommerce grows to critical mass in Australia, BigW really is much positioned to be a key player.